Everyone loves a good murder mystery. In this case, nonfiction could just as easily be inserted into the description although “good” would hardly be appropriate as a result, given the fact that this mystery involves the deaths of over 100 innocent and generally defenseless victims, including infants and babies. Added to this are two other facts that this happened a century ago and, therefore, the specifics remain virtually unknown to most Americans. Even though many of these cases, for the most part, were not considered related, by virtue of a number of factors, it is more than likely that they gave rise to the expression “axe murderer” as the vast majority of victims were killed with the blunt side of an axe as opposed to the blade. Even so, such an act means that there is sure to be blood splatter, a consideration for the perpetrator when it comes to making his getaway after the deed. 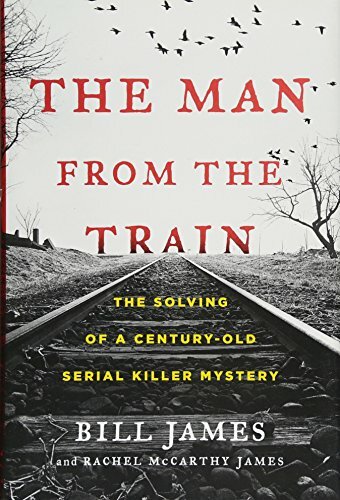 As the authors point out in the text, there were multiple other factors, they concluded, that provided a number of clues in trying to determine whether the murder cases they researched were or could have been committed by the same person or might be similar but not necessarily fit the murderer’s modus operandi. Some of these common elements included proximity to train tracks or railroad stop for his getaway, approximate midnight time of attack, whole families being killed, homes in rural areas and small towns with little to no police presence, locking or blocking doors and covering windows to prevent any early discovery of the bodies, covering victims with cloth prior to the act (remember blood spatter), leaving the axe in plain sight, and not taking victims’ money or valuables. Complicating all of this for investigative purposes was the nationwide extent of the murders mostly in the South, Midwest, and Northwest over the course of some 15 years with a short hiatus around 1908, possibly because the main actor was jailed at the time for some other crime. In spite of these commonalities, law enforcement, which was not particularly sophisticated at the time, tended to concentrate on suspects within the community. Private detectives were hired, reward funds accumulated, crime scenes were sometimes compromised by the public interested in souvenirs or developing their own theories on the act, and newspaper reporters were allowed to interview suspects for their publications. In the event, many suspects were not prosecuted, charges were dropped, or they were released as there was, admittedly, no evidence against them. Some were wrongly convicted and executed as innocent victims of the justice system while a few African Americans were lynched by mobs that took the law into their own hands. Through comparison of old newspaper articles, studying investigative reports and secondary sources and evidence otherwise gathered in the cases extant, a primary suspect is identified at the end but won’t be named here. Having said that, this is an interesting and fascinating albeit rather unknown story, and it is commendable that the authors have chosen to bring it to light. Yet not without some modicum of criticism of the primary author. For one, Bill James is a longtime baseball writer and ostensible executive in that sport. Not that he isn’t allowed to write about such a subject, but some might find his conversational style of writing or format and injection of first person singular and plural as somewhat off-putting. Additionally, he uses some rather objectionable and unnecessary language a couple of times in the text which should have been excised or at least reworded by an editor. Not surprisingly, much of what James determines is speculative as in “apparently,” “possibly,” “I think that . . .” etc. Finally, at the remove of 100 years, his conclusion as to the identity of the person responsible, even if correct, for many of these cases is moot as justice can’t currently be served nor can the identification be confirmed. Otherwise, it is interesting to speculate on the person who could get away with so many murders across the country over a long period of time and if these cases somehow demonstrate that an axe was a convenient weapon simply because of its ubiquity in many American households at the time. Read this book and possibly conclude to your own satisfaction if James has proved his case.